CUCET 2018: The nine Central universities of India jointly conducts an entrance exam for the admissions in various undergraduate and postgraduate courses. The interested students can apply for the CUCET Application Form 2018. The admissions to Haryana, Jharkhand, Kashmir, Punjab, Tamil Nadu, Jammu, Karnataka, Kerala and Rajasthan Central Universities will be provided through CUCET Admission 2018. The dates for the entrance exam are not announced yet. The students who are seeking admission in any of the central university in India, they have to apply online for the CUCET Admission Form 2018. The forms will be made available on the official website. We will provide here the direct link through which you will be able to download and submit the CUCET Registration Form. The registration will start in the month of March and the last date for the submission is in April. Steps to submit CUCET Online Application Form 2018. The aspirants have to open the official website. Now open the apply online link present on the homepage. Enter all the valid details like name, fathers name qualification etc. Attach the scanned copy of the documents, photograph and signature with the form. Pay the required application fee. Submit the form by clicking on the proceed button. Also, take a print for the future references. 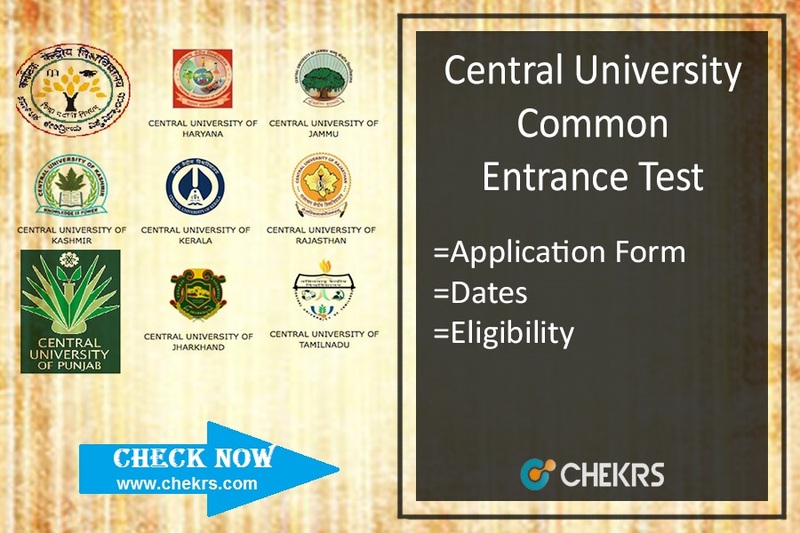 The eligibility criteria for the entrance exam is different for each University. We have mentioned here the CUCET Eligibility according to the name of the University. The aspirants just have to open the pdf file. The Central University Common Entrance Test will be conducted in two parts. The CUCET Syllabus Pdf is divided into various subparts. In Part-A, the questions from English, General Awareness, Mathematical Aptitude, Analytical Skills will be asked. And for Part-B the questions from the domain subjects will be asked. The aspirants are advised to study the syllabus properly. This will increase their chances to score high in the exam. The topics of the syllabus for part b will vary according to the choice of the course. The authorities will conduct the exam in the month of May. The students are advised to start their preparations so that they can cover all the topics of the syllabus. As well as they cna check the CUCET Exam Pattern 2018. With the help of exam pattern, they cna understand the difficulty and pattern of the questions which will be asked in the exam. The exam will be conducted in two modes. The total time for the exam will be of 120 minutes. And the most important point it will be an offline exam so students have to bring their pen and proper id with them.